Our "Academy Partnership" is a bespoke service designed to provide Academies, Trusts, Federations or Groups of Schools with an innovative, cost effective and compliant recruitment solutions. Pro Education will work with you to ensure that the Groups ethos, goals and objectives are specifically delivered as part of the recruitment solution. Working in partnership, Pro Education will share resources, skills, experience and best practice for delivering a quality driven, value for money service, without compromise. Pro Education is proud to hold the Gold Standard audit status. Promoting the highest standards in the educational sector, this status demonstrates our commitment to best practice and compliance with legislation, and allows schools and teachers to be confident that all relevant checks are undertaken when recruiting staff. The detailed audit by the Recruitment and Employment Confederation (REC), the professional body for the UK's recruitment industry, covers both teaching and non-teaching staff to schools and requires Pro Education to demonstrate ongoing commitment to best practice and compliance with legislation. 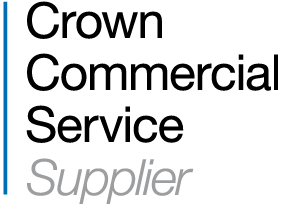 Pro Education is an approved supplier of Crown Commercial Service. This enables us to supply recruitment solutions to the NHS, Local Government, Public Services and Central Government. Our Clients can be assured that Pro Education is continuously working towards the high standards required to be a supplier within the public sector frameworks. At Pro Education we understand the importance of safeguarding in Education and we are pro-active in supporting and encouraging our Teachers in their own CPD (continued professional development). Educare is an effective safeguarding service offering 20 duty of care online safeguarding and training services, designed to impart essential information and to motivate our teachers; keeping them up to date with new developments. As one of the first recruitment companies to be awarded ISO accredited status, quality and compliance remain at the very heart of our business. As well as ISO9001:2015 Quality Management Accreditation throughout our branch network, we hold ISO 14001:2015, the Environmental Accreditation with an aim to reduce, re-use and recycle. Pro Education is part of the Wise Recruitment Group, supplying temporary and permanent solutions to Clients across its South and South West network of branches through its specialist brands including Education, Office, Industrial and Elite Recruitment. It is essentially a one stop shop, able to meet all of your recruitment needs. In celebration of its 25 years in business as an independent Company, all its Managers and Consultants worked hard throughout the year within their local communities to fundraise for Children's Hospice South West. The result was a magnificent effort as over £25,000 was raised! The charity remains close to the heart of the Company and it continues to be the charity of choice.